GIRL. WHERE HAVE you been? If you’re not watching Broad City, something up with you. Guys too, of course. The half-hour show follows young BFFs, Ilana and Abbi as they navigate (or stumble) through life in New York city. It’s like Girls meets Workaholics, but funnier and more surreal. 26-year-old Ilana Glazer and 29-year-old Abbi Jacobson studied at the UCB theatre but grew tired of not getting placed in shows, so they also began hosting a monthly variety show Broad City Live at a New York comedy improv theatre. They then decided to make mini-episodes to put on YouTube on the cheap, which are a little less flashy but are worth a watch all the same. This one points out the difference in their morning routines. Why be a hot mess alone, when you can be hot messes together? Alana is the mad one, while Abbi is a bit tamer. They find themselves in absurd situations, like accidentally hiring a predator locksmith and cleaning a guy’s house in their underwear for a few bob. The contrast between the two couldn’t be any more different, but they’re going through the same bleak things, just in a different waaay. Obviously that’s the only seal of approval you’ll need. Voice and tone and chemistry are elusive things that you either have or you don’t. They’re hard to manufacture, and I thought Abbi and Ilana had them. They have a real friendship that shows on-screen. Never heard of it? You’re not alone. The show hasn’t reached British Comedy Central yet. Can't believe how slept on Broad City has been. It's so good! It's so funny! The leads have such charisma! Why so relatively little fanfare? Created by and starring women, it’s a big FU to those who say women aren’t funny. And it’s not all about their boyfriends, but they feature, their usual roles are just flipped. Alana’s fling is the one who wants to make the relationship monogamous. There are also a crazy amount of references to lady parts and uses you never knew they had. Sign up now, guys. He is THE WORST, he’s that guy you know, or shiver at the thought of ever coming across. Abbi’s disdain for him is one of the funniest running gags. Comedian Hannibal Buress is excellent as Alana’s creepy but cute dentist ‘friend with benefits’. Other cameos include Amy Schumer, Fred Armisen as the BIGGEST oddball, Rachel Dratch, and Amy Sedaris. It’s like a highlights reel of SNL. Thankfully, it’s been renewed for a second season. A guarantee before you start. 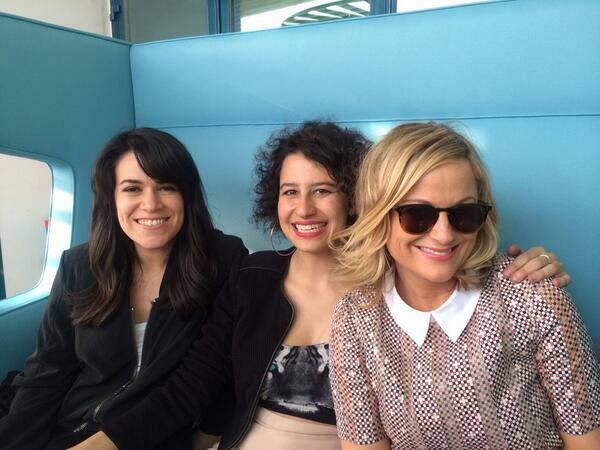 Email “Here's why Broad City should be your new favourite comedy”. Feedback on “Here's why Broad City should be your new favourite comedy”.